Endurance training is not only extremely satisfying to those who crave intense challenges, it also melts body fat and increases the capacity of your heart and lungs. Read on, and you’ll learn how to train for both physical and mental endurance, and then you can apply it to your own training to learn what you’re really made of. 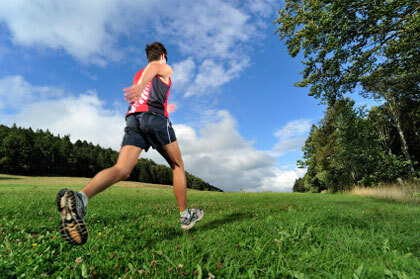 In simplest terms, endurance is your body’s ability to sustain prolonged exercise. According to Tom Holland, C.S.C.S., a sport-performance coach and the author of The Marathon Method and The 12-Week Triathlete, “It’s not who goes the fastest but who slows down the least. The toughest part as a coach is getting clients to learn how to stay in the endurance zone and not work too hard.” In endurance sports, the point is to hang in there till the end, so pushing yourself too hard too soon is a big risk. There are two types of physical endurance: cardiorespiratory and muscular. And there’s good reason to attempt to improve both, especially if you have any desire to compete in athletic events, or even if you simply want to remain a lifelong exerciser. Cardiorespiratory endurance refers to your ability to keep going during aerobic activities such as swimming, running, or cycling. Whenever you engage in these activities for more than two minutes straight, the dominant energy system that’s fueling them is oxygen (hence the term aerobic), so the better your heart (cardio) and lungs (respiratory) function, the more efficiently the fuel will reach your muscles to help you continue the exercise. With improved endurance, your body more effectively accesses and utilizes fat as a fuel source, which will help you decrease body fat. As a result of boosting your aerobic endurance level, you can challenge your body to take on more work without feeling as fatigued. For instance, with a solid base of endurance training, you might be able to run eight miles instead of four—without feeling winded. Consistency and progression are key factors in building endurance; of those two, consistency is the most important, although it’s the one most people fall short on. “Because people are time-crunched,” says Patrick McCrann, founder and CEO of Performance Training Systems in Boston, “they make the mistake of logging hours of training on the weekends and doing little on weekdays, which sets them up for injury,” he says. McCrann, in fact, would rather see people do 45 minutes of aerobic activity every day instead of killing themselves on the weekends to make up for it. Of course, how much time you devote to building endurance depends on your goals. “Although everybody can benefit from this training, if you’re preparing for an Ironman, you’ll spend significantly more time training than someone who’s competing in the local sprint-distance triathlon,” says McCrann. For starters, try training five to six days a week for 30-120 minutes per session. After consistency comes progression. To achieve this, think about your training in four-week chunks. 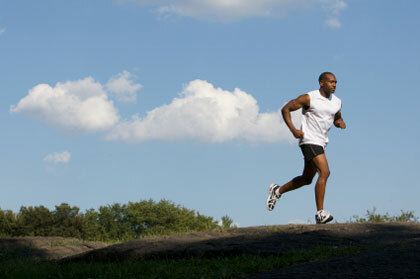 For three weeks, focus on consistent bouts of increasingly longer aerobic activity. For example, if your goal involves competing in a running event, you might run 15 miles per session the first week, 20 miles the second week, and 25 miles the third week. In that fourth week, you’ll go through a recovery period. “Maybe you run 15 miles again like you did in the first week, or you do the same length of cardio but in different types of activities,” McCrann says, such as cycling or rowing on a machine. And that’s the best part of endurance training—you can build endurance using any combination of activities, so you cut the boredom factor and avoid plateaus. After four weeks, pick up where you left off, increasing the duration of exercise slightly. So if you’re running 15, 20, and then 25 miles in those first three weeks, in the fifth week, you might start with 20 miles and progress from there. Just watch the intensity. Holland recommends using a heart-rate monitor so you can see where you are, but generally, you want to be between 65% and 75% of your maximum heart rate (MHR) in beats per minute (calculate your maximum heart rate by subtracting your age from 220), although it could go to 80%. Of course, tracking improvements in endurance is relatively easy. The three-mile run that used to challenge you? Now it’s a piece of cake. “After several weeks of endurance training, that three-mile run feels easier, and your heart rate is now lower throughout the run, meaning you can go longer,” Holland says. You can also do a simple field test to see how your endurance has improved, McCrann says. 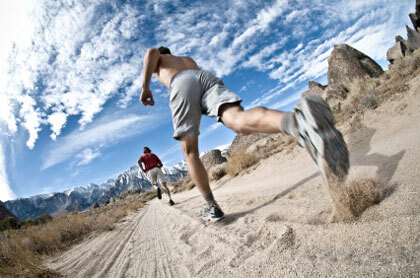 When you first start training for endurance, pick an exercise mode and cover a certain distance in 30 minutes. Six weeks later, do the same test but see how much farther you can go in that 30 minutes. Another indication you’ve improved? Within three to five months of endurance training, you might notice that your resting heart rate has decreased, McCrann says. On the flip side of cardiovascular endurance is what’s known as muscular endurance, or your muscles’ ability to keep contracting against resistance for a long period of time. It’s a natural fit with cardiorespiratory training, and it will make any endurance activity you do much easier to perform. “The longer the continuous activity in a sport, the more muscular endurance will come into play,” says Matt Russ, head coach and owner of the Sport Factory in Atlanta. To build this type of endurance in the weight room, you sacrifice heavy weight for higher reps. “Generally, two to three sets of 15 reps or more works muscular endurance,” Holland says. Rest periods should be kept to 30 seconds or less. But don’t think lifting weights is the only way to build muscular endurance. For the athletes McCrann works with, it’s actually the last strategy. Other ways include training on hills or using resistance in your workouts (such as swimming in a drag suit). After hills or resistance, you move to intensity, which means doing intervals. For example, work at 90% of your MHR for three to five minutes, then ease down to 75% for another three to five minutes. Repeat four times for eight to 20 minutes. Endurance training is tough—it’s not only physically exhausting, it also challenges your mental fortitude. That’s why Russ recommends giving yourself a reason for being out there. “What do you hope to get from endurance training?” he says. A leaner physique? The ability to run a half marathon? Whatever your goal, keep it in front of you. Then set short-term goals that coincide with your long-term ones so you stay in the game, such as logging three cardio endurance workouts every week or something similar. Also, watch your attitude as you train. “Your mind’s stronger than your body, so if you’ve got negative self-talk going on, you’re going to impede progress,” Holland says. When you start trash-talking yourself, kick those thoughts out of your head and replace them with positives. Then do some visualization. “The mind doesn’t know the difference between what you see and what you do,” Holland says. Visualize your training, and watch your performance increase. For instance, when you’re doing cardio indoors with music, close your eyes for an entire song. Picture yourself racing and succeeding. “Practice going for longer and longer periods of time with your eyes closed,” Holland says. Even while you’re relaxing outside the gym, visualize great performances.